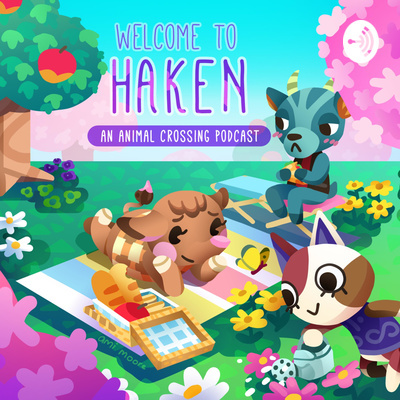 Welcome to Haken: An Animal Crossing Podcast. If you love Animal Crossing, you've come to the perfect place. Join us every Tuesday to talk about all things Animal Crossing including speculation for Animal Crossing Switch, updates to Pocket Camp, and our own experiences with the game. Ep. 69: All Things Animal Crossing With Dramakins! Ep. 66: Dream Towns and Animal Crossing Music Episode! Ep. 65: Why Didn't We See Animal Crossing Switch? Ep. 55: Animal Crossing in Smash Ultimate! Ep. 50: Animal Crossing Switch and 1 Year of Pocket Camp! Ep. 47: Animal Crossing Chat With Saint Ruto! Ep. 43: Haken's First Anniversary! Ep. 37: Kapp'n Drives To Smashville! In this episode of Haken: An Animal Crossing Podcast, Sergio and I take a deep look at each mainline Animal Crossing game and talk about how we utilized the multiplayer aspect of each game. As we know, Nintendo labels Animal Crossing as a communication game. Does the game really lead to greater communication? We think it does! Join us on a great look back at the fun we've had with other Animal Crossing players. Also, I revisit Pocket Camp and talk about how I felt playing that game again. We end the show by talking about my video tour of an old Animal Crossing Population Growing town on the memory card from the game I just bought. Support my channel on Patreon: https://www.patreon.com/chuyplaysnintendo Chat about Animal Crossing on my Discord: https://discord.gg/572SuTu Get More Nintendo and Video Game Content Here: http://chuyplays.com/ Follow me on... Twitter: https://twitter.com/ChuyPlaysNTDO Facebook: https://www.facebook.com/ChuyPlaysNintendo Instagram: https://www.instagram. 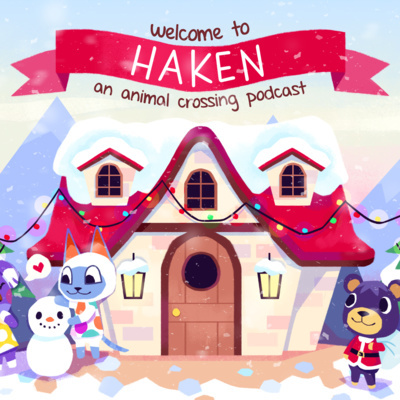 Visit The Bell Tree Forums: http://www.belltreeforums.com/ Today on Haken: An Animal Crossing Podcast, we have a special guest on the show. We are happy to speak with Jeremy, the founder of the Bell Tree Forums. This site has built a huge community of Animal Crossing players and brought them together to interact, play together, trade items and much much more! We get a brief history of his time creating the site and a lot of different aspects to the site's inner workings. We also get his own background in the Animal Crossing series, when he started playing the games, and which games he's gotten to play. After the Interview, we quickly discuss some of the latest updates to Pocket Camp. Support my channel on Patreon: https://www.patreon.com/chuyplaysnintendo Chat about Animal Crossing on my Discord: https://discord.gg/572SuTu Get More Nintendo and Video Game Content Here: http://chuyplays.com/ Follow me on... Twitter: https://twitter.com/ChuyPlaysNTDO Facebook: https://www.facebook.